MELBOURNE, Ark. 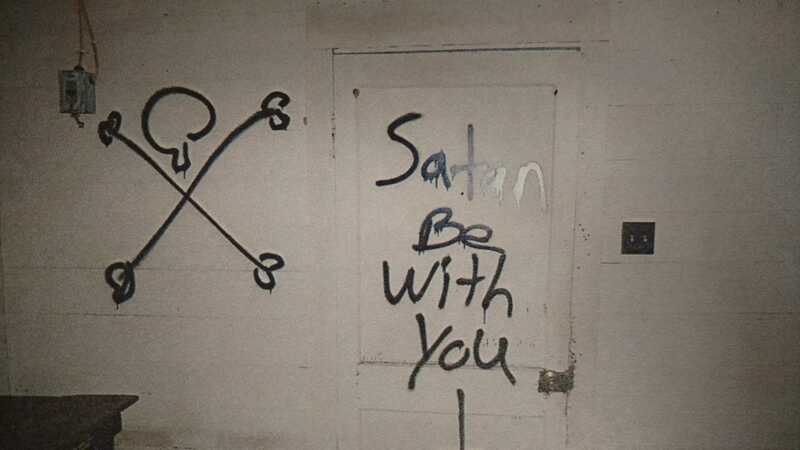 — Police are seeking information after a church and cemetery in Arkansas were vandalized on Saturday with various Satanic messages and images. 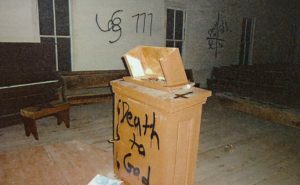 According to reports, Flat Rock Church and its adjoining cemetery were spray-painted with messages like “Death to God,” “Satan be with you” and “666.” Both the interior and exterior of the church were vandalized, as well as headstones in the cemetery. “It was reported Saturday that the Flat Rock Church and cemetery located north of Arkansas Highway 56 had been vandalized. Deputy Steve Davidson found the headstones, the inside and outside of the church had been spray-painted with graffiti along with what is believed to be various Satanic symbols,” the Izard County Sheriff’s Department outlined in a social media post. It noted that the cemetery hasn’t had any new burials since October of 2016. Sheriff Tate Lawrence called the vandalism a “horrendous act” and is asking that anyone with information call his office. There are no named suspects at this time. The community has likewise condemned the actions of the vandals, with several noting that they either have family members buried at the location or who were married there. Some have volunteered to help clean up the graffiti. Last May, a church cemetery in Redfield was damaged when nearly 80 headstones were knocked over and/or broken, and items left to honor the dead were strewn around the graveyard. Cemetery workers who were preparing for a burial discovered the damage, which a representative of Orion Mission Baptist Church cemetery reported to police.